Domaine Ostertag 2016 Les Jardins Pinot Noir, Alsace, France. 12.5% ABV, SRP $27/bottle (sample). Color is ruby with magenta edging, slightly opaque from no filtration. The nose is a blend of red fruit: black cherry with plum and a hint of young raspberry. Aromas of eucalyptus and gravel entice the first sip. On the palate: black and red cherry battle for the forefront, strong clay influence is secondary. followed by notes of brettanomyces and smoky dust. A long, lingering finish atop a column of red fruit: exquisite with defined tannins, showing refinement and balance in the structure, and leaving a strong send of appreciation in the wake. This is a #winelover’s wine; a geeky wine delight; an oenophile’s treasure. In spite of wanting to savor the aromas of this wine slowly for a week, instead I paired the bottle nicely with roast turkey breast, Japanese sashimi, and orrichette with broccoli rabe over several days. The mixture maintained solid structure and linearity throughout from simply re-corking and refrigeration. If you like the unusual pinot that screams of terroir and shows character in biodynamic and organic approach, this is an excellent wine for you! It will complement and pair to your heart’s content while having a unique attitude and position- unlike other pinot noirs you have tasted and forgotten. Once you have spent some time with the wines, Vin D’Alsace will never let you go entirely. You’ll be hash tagging #DrinkAlsace before you know it. I love drinking Syrah in the wintertime. So it was no surprise to me that I had held on to a sample from Markus Wine Company and ‘found’ it months later, not where I’d expect it with my tasting queue, but rather hidden within my rack of Châteauneuf-du-Pape and similar Rhône delicacies. It made me wonder, “Why did I hide this from myself?” But after months of road travel and an opportunity to walk in my cellar and pick a bottle to drink and enjoy, that bottle is where my eye landed. And I thought, “Based on the reds I have tasted from Markus, this wine would really be best in ten years”, but I will have to pick up a case to make that happen, now that I’ve opened and tasted it. Because whoa, this is so delicious that this bottle will not last the night! Markus Wine Co. 2015 Zeitlos; Lodi, California. 14.6% ABV, SRP $39/bottle(Sample). Color is ruby center with purple edging. The nose offers blue and black fruit, violets, and red pepper. On the palate is a beautifully proportioned sense of fruit: blue plum and blueberries on the front palate, blackberries on the mid-palate, and red plum on the top/back palate. Some green herbs, sage and fresh oregano are evident, with a very long finish that shows beautiful cranberry/raspberry with loam, silt and sand. This wine is beautifully balanced and the tannins are FIRM. My mouth tells me that not only do I want another sip, but the fruit flavors are very long-lasting on the tongue. The Zeitlos blend is 76% Syrah, with small amounts of Viognier, Carignan, and Petite Syrah. Zeitlos reminds me a LOT of the famous (also hard to get and incredibly pricey) Domaine Jean-Louis Chave Hemitage, a famous Rhône blend for those who don’t know it, only with a touch more blue fruit and more herbal and mineral notes. But that beautiful fruit and tannin makes this wine ideal for grilled meats. While in Atlanta recently, I was fortunate to have dinner with several life-long friends. We drank wines that cost two to three times this wine’s SRP at well-known steak houses, but I wish this wine had been available. And after opening this bottle to try with chicken wings and hot sauce, this wine begged for prime proteins so much that I wanted to put both a rack of lamb in the oven and a porterhouse on the grill. Easily said: Zeitlos made me want big, bold flavors which could be translated into meat, or perhaps grilled portobello mushrooms (if you happen to be vegetarian). If you’re looking for that perfect holiday bottle to pair with winter vegetables or a roast, Zeitlos may be the ideal choice. Made in small batches (only 75 cases), each bottle is individually numbered, made with passion by an independent winemaker. So the bottle is rare to find and absolutely unforgettable once you’ve tasted it! It’s a perfect holiday gift bottle, if you can hang on to it for that long. I might bring this to dinner as a gift, but I’d insist the host open it so it could be enjoyed immediately. Currently, Markus is selling his 2016 Zeitlos in pre-release. If you are a Syrah fan, this is a wine that you’d wat to snap up, enjoy, and cellar a few extra bottles. If you invite me over, I’ll bring the meat, and my serious thirst for Zeitlos. Note: If you are one of those people who does not really care for red wines, then you should check out Markus Niggli’s line of white blends and varietals. I was impressed highly when I first tasted them in Lodi, and when I managed to spend a little more time with his wines, I was entirely blown away by his winemaking style and the flavors and elegance he evokes from his creations! They are ethereal and gorgeous, and offer great value in comparison to wines that would drink as well. Trust me- your mouth will thank you, and you can thank me later. Did you know November 8th is International Tempranillo Day? Bodegas Lan Rioja Gran Reserva 2010; Fuenmayor, Spain. 13.5%ABV, SRP $23/bottle. Color is ruby with magenta edging. The nose is vast and expressive with red cassis and plum, tobacco leaf, eucalyptus, cigar box, and forest floor. On the palate is a lively series of dark red fruit with so much spice: mocha, vanilla, oak, licorice, leather, and spice box. Medium bodied, full-flavored, and so much fun to drink! This lusty, vibrant red is a blend of primarily (94%) Tempranillo with 4% Mazuelo(aka carignan), spending 24 months in oak barrels before maturing 36 months in the bottle. The time spent aging this shows quite nicely, and is well worth the effort -especially at this price point. I poured a glass, thinking it would pair well with my grilled meat & vegetables. Oh, it did, but one taste and immediately I felt like I was in Barcelona again. I just wanted to put my nose in the glass to inhale the luxurious and lengthy nose, then relax and take sip after sip to enjoy the sunset. Delicious, and a lovely value! And did I mention, it also pairs beautifully with grilled meats, savory dishes and cheeses. Where can you find a decent aged red blend for under $25? #Rioja ! When you plan a special occasion with friends & neighbors, the wine has to be perfect! So an important summer evening recently became OTBN- “Open That Bottle Night”, when we pull a special bottle from the cellar, to enjoy with good friends. For our wines, I turned to new world wine royalty: Napa’s own Chateau Montelena! Chateau Montelena Chadonnay 2015; Napa Valley, Ca. 13.8%ABV, SRP $58/bottle. The color is a medium straw with a green hue. The nose shows fresh melon with a touch of baking spice. On the palate is baked apple pie, a hint of peach, notes of vanilla and significant oak influence, followed by more spicy notes- ginger root, and young pineapple. Lush and savory with mid-weight appeal. This is a delightful chardonnay that sings of fruit in the barrel. Paired with grilled vegetables and chicken, the nose and flavors elicited verbal oohs and aahs from our guests of honor. One tastes this wine, and immediately thinks of the 1976 Judgement of Paris that changed the way the game was played both in the old world and new world of wines. This modern-day offspring of that world-changing wine maintains the beauty of the classic vintage with restrained fruit notes, solid acidity, a savory mouthfeel, and age-worthiness. It has been years since I tasted Chateau Montelena’s chardonnay, -a 2010 vintage- but the wine’s flavors memory recall a near-identical, idyllic and glamorous tasting experience! 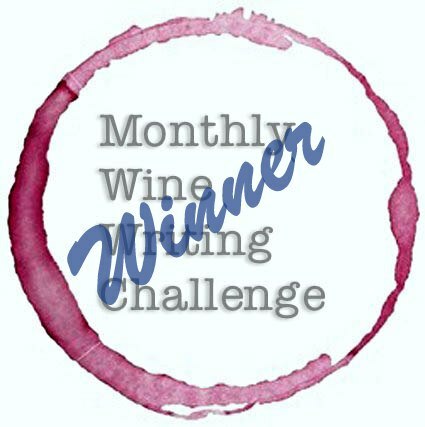 Chateau Montelena Cabernet Sauvignon 2015; Napa Valley, Ca. 14.2%ABV, SRP $61/bottle. The color is deep ruby with magenta edging. The complex nose offers mature black fruit followed by notes of forest floor, leather, oak and spice. On the palate, the fruit is a blend of raspberry and juicy red plum with bright acidity; there are secondary notes of mocha, clove, potting soil, and a lovely finish with rich tannins, featuring a timber note that suggests the wine aged in both French and mature, perhaps Eastern European oak. This paired beautifully with the main course of dinner of grilled meats, along with fresh fruit and hearts of palm salad, zucchini and greens, yet the wine’s impact was even greater afterwards when we simply chatted and enjoyed the depth of each sip, the enchanting, silken mouthfeel, the impressive girth and balance of the wine, and the expressive flavor profile. Like some wines of the Old World, Napa’s Chateau Montelena demonstrates consistency and tremendous quality over the decades. Their wines are a trustworthy delight to experience, and provide a very high level of both value and pleasure, vintage after vintage. The Red Wine You Need for Hot Weather! Cantina Kaltern Kalterersee Classico Superiore “Leuchtenberg” 2016; Alto Adige, Italy. 13.5% ABV, Around $20/bottle. The lighter reds of summer. Some of my wine-loving friends drink cabernet sauvignon all year ’round, but I ache for wines with gentler body, brighter fruit and higher acidity that you can drink all night, still feeling my palate. This is one of those delightful treats you need to have in your cellar! Color is a translucent cerise, while the nose offers fresh ripe raspberry. On the palate, bright young cherry and raspberry are followed by secondary notes of black pepper and smoky paprika, with a medium finish and hints of oak, granite, and volcanic basalt. Made from 100% schiava, this wine is summer’s best friend! Delightfully light and fresh with plenty of bright fruit, perfect acidity, and moderate tannins make this schiava so easy to drink during hot, humid weather, and hard to resist a refill! Over the course of a week, I paired this wine successfully with a spicy tomato sauce over pasta, grilled salmon and zucchini, veal cutlet and steamed asparagus, Thai noodles, southwestern fajitas, and cheeses from mild to moderate. I remember in Alto Adige how beautifully the local fare complements these delicate, high acid, alpine wines: carpaccio, speck, polenta and risotto, dumplings, and beautiful dishes that combine whatever is sourced locally– often beef or pork, wild game and fowl, cabbage, and apples. While wines like Kalterersee Classico Superiore may be harder to find in the states, most wine stores do carry Italy’s schiava or lagrein, which are ideal summer drinks that more people need to try and share for your summer barbecue, dinner party, or just a night at home. At $20/bottle or under, schiava has enough flavor and punch to match with heavy meals, but remains delightful and fun with moderate weight and body. One more thing you will find is that it goes down easily, and leaves you wanting more. That’s my kind of summer wine. What is in your glass this summer, while you fight the humidity and try to beat the heat?